Indoor location research and fielded developments currently focus on consumer-level applications, mostly using mobile phone handsets, but this work will hopefully also benefit professional and high-precision uses of GNSS. Indoor location technologies could be of particular interest in machine control for warehousing, industrial assembly, indoor and even underground mapping, underground mining, in forestry where dense canopy virtually cuts out GNSS, construction, and other areas where sky-view is limited or negligible. 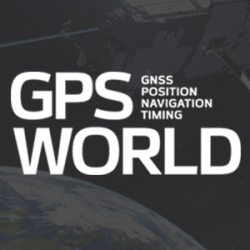 Tune in to GPS World’s webinar, “Indoor Positioning and Navigation: Results of the FCC’s CSRIC Bay Area Trials,” on Thursday, April 18. Speakers include Khaled Dessouky (Technocom); Ganesh Pattabiraman (NextNav); Norm Shaw (Polaris Wireless); and Greg Turetzky (CSR). Registration is free. Professional users will want to keep abreast of developments in the E-911 area, and be aware as achievable accuracies begin to approach what could be possible for precision applications. Right now, that’s maybe a pretty big stretch, but taking a look periodically is a good idea. A recent round of landmark tests by the Federal Communications Commission (FCC) provides just such an occasion for a look-in. The U.S., E-911 legislation put in place back in 2001 required that both landlines and cellphones should provide the location of callers to within specific accuracy levels. Location information was to be sent transparently to Public Safety Answering Points (PSAPs) which would allow fire/rescue/police personnel to be dispatched to the location of the 911 call. For mobile phones, cellphone manufacturers and network providers forged ahead and implemented a number of location strategies using differing technologies — all require being outdoors where a clear sky-view is available. GPS and augmented GPS technologies were only part of the cellphone solution. Other implementations included use of the cell-signal itself, along with an extensive database that can contain, amongst other things, signal attributes and network asset locations. Turns out that, today, around 60 percent of mobile phone calls are made within buildings, so the FCC started to investigate how to bring E-911 capability to indoor calls. In 2011, the FCC commissioned a group called the Communications Security, Reliability and Interoperability Council (CSRIC), and Working Group 3 (WG-3) is the one currently investigating what can be done for indoor E-911 location. Drawn from interested industry participants, the WG-3 Location-Based Services (LBS) sub-group set about finding what technologies exist, how well they work, and how they could be applied to E-911. Now, there are a lot of people trying to crack this problem and many, many ways that it’s been tackled — all of which are at different stages of development and with differing levels of capability. In order to make definitive progress, WG-3 LBS decided that a test-bed was the best way to evaluate and compare what’s currently available. Seven vendors signed up initially, but only three — NextNav, Polaris Wireless, and Qualcomm — completed the rigorous testing, which set out to basically establish horizontal and vertical accuracy, speed of location, and reliability and consistency of results for each system. The trial tested the performance of location systems across urban, suburban and rural areas in the San Francisco Bay Area. More than 13,000 test calls were placed from various tested technologies in 75 different indoor locations selected by participating public safety organizations from around the U.S. Click here for the full report. 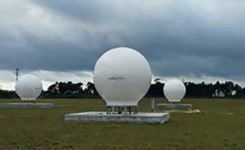 In the tests, Polaris Wireless used an RF pattern matching/fingerprinting technique, Qualcomm used a hybrid Assisted-GPS (A-GPS)/Advanced Forward Link Trilateration (AFLT) system, and NextNav used wireless beacon technology. NextNav came out on top, and largely within the magical 50-meter “search ring” requirement, and was the only vendor to provide vertical location capability. NextNav uses pressure transducers in its beacons and in the handheld units to accurately measure calibrated altitude — within about 2 meters — so it can actually report the floor where the handheld is located; it’s the only system tested that was able to do so. Apparently the use of MEMS pressure sensors in cellphones is forecast to increase to 681 million units in 2016, so this could be the right approach. NextNav is focusing on the San Francisco market, where the company has fielded a significant number of beacons, but it has also placed beacons in another 40 metropolitan locations across the U.S. NextNav has acquired appropriate spectrum rights to transmit a 900-MHz “GPS-like” signal that’s synchronized to GPS. This enables good penetration into most urban buildings — both high-rise and those with fewer floors. To support adoption of its solution, NextNav is working with a chipset manufacturer to incorporate processing of its location signal within an upcoming spin of an embedded cellphone chipset. While other solutions have adopted Wi-Fi and cell-signal solutions, NextNav contends that its approach is the most cost effective, as beacon deployment is geographically less dense and can be amortized over so many users. Other solutions also apparently rely on the use of databases that store signal characteristics and a number of other parameters – the CSRIC report highlights the complexity this brings to database management and maintenance. NextNav also has a database, but this is basically to store records of location, cable configurations and calibration data. This is only used to ensure consistent performance of their system; it’s not required for network operation or location. Higher precision applications would also benefit from this type of augmentation in the same way that WAAS users achieve higher accuracies, except this system uses local beacons, and there could be the potential for even higher precision with known fixed beacon locations within urban environments. As commercial UAV applications grow, it’s not impossible that there will be higher precision flight applications within cities, for geo-location surveying, building and outside appliance inspections, signal mapping, traffic mapping, road-work repair monitoring — in fact, many of the monitoring activities we see daily in towns and cities where a view of the sky can be particularly restricted. The CSRIC participants are not the only ones pursuing the holy grail of indoor location. As mentioned, seven different location vendors/technologies began the process to demonstrate their performance indoors through the common test bed, but only three completed the process. The others remain highly motivated and involved, however, and at work tuning their varied solutions. The WG3 report states, “The following location vendors showed initial interest in having their technologies tested and highlighted through the test bed process, but ended up not participating in the Stage 1 test bed, for a variety of reasons. Meanwhile, promising indoor location research goes on at a number of commercial and academic institutions, such as the University of Calgary PLAN group, which has focused on integration of Wi-Fi and GPS. An upcoming paper reports that Wi-Fi, using the 802.11 standards, can be employed in several different ways as a complementary positioning technology for GPS/GNSS navigation, and the two can be used in an integrated framework to provide a continuous and robust positioning service. Another promising component for indoor location could be the recent release of a software application by Baseband Technologies, which can provide rapid ephemeris for up to 28 days, between ephemeris downloads from GPS directly or over cellphones from the Internet. But indoor location warrants much more extensive treatment than these few random comments — what’s summarized here are only some recent developments in E-911. There will likely be another round of E-911 test-bed activities if funding and management issues are resolved. See CSRIC WG-3 LBS Subgroup member Greg Turetzky’s “Expert Advice” column from GPS World for perspective and a forward look. We can anticipate even wider participation by differing technologies and even greater levels of performance in future. Longer term progression towards higher precision professional applications seems to be inevitable.